The SM6100 Vibration Input Monitor is a single channel vibration monitor for protection against excessive vibration. It is weather proof and has an optional explosion proof rating. 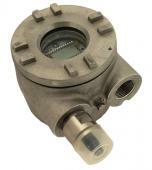 See the data sheet for the SM6100 Vibration Input Monitor below.